Bhai Divan Singh s/o Sahib Singh was born in year 1874 at village Mahingarwal in Hoshiarpur District of Punjab. He is one of the martyrs of Jaito Morcha. He was serving the government as an Assistant Engineer in the department railways when he resigned in July 1923 in protest against the deposition of Maharaja Ripudaman Singh, ruler of the princely state of Nabha, by the British government. He became an active member of Akali movement for the reformation of the management of Sikh shrines. While the Shiromani Gurdwara Parbandhak Committee was banned by the British government in October 1923, Divan Singh was appointed chairman of the district committee for the management of gurdwaras in Hoshiarpur district. He took part in the Jatha of 500 Singhs who marched to Jaito. 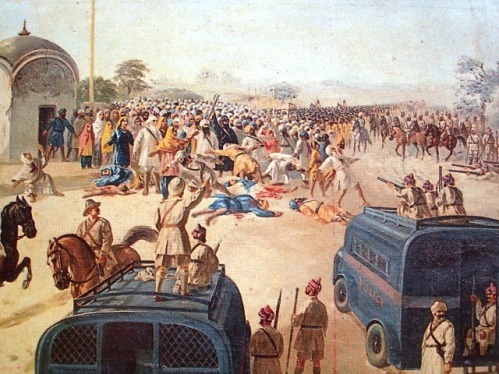 When the Jatha reached Tibbi Sahib, the Nabha State army opened fire on the Jatha and a bullet hit Divan Singh in the head and he died on the spot, before reaching Gurdwara Gangsar Sahib. Harnam Singh Doad was born in 1869 in village Jalwehra, Thana Mahilpur of District Hoshiarpur. His father’s name was Buta Singh Doad. He was a freedom fighter who fought against the British oppression. He took a part in the Jaito Morcha and was detained for 14 months in Nabha Jail.